You didn’t have a childhood in the 1990’s if you didn’t drink Hi-C Ecto Cooler, straight up. 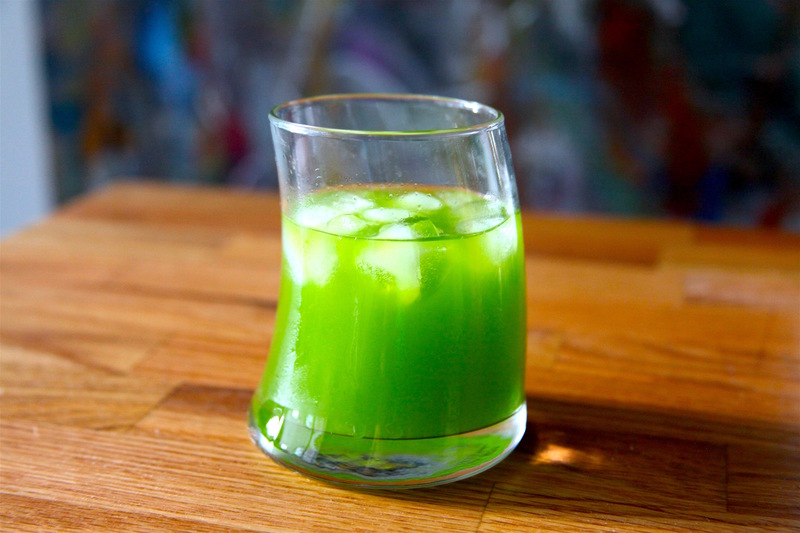 In a 90’s landscape filled with insane snack game competition, Ecto Cooler E Juice achieved upper echelon status and with good reason: it was green, it was sugary and it was inspired by Ghostbusters. And do I even need to say more about a movie franchise that featured Bill Murray, Dan Aykroyd, Harold Ramis and Sigourney Weaver? Instead, let’s pour one out for the legendary comedy. 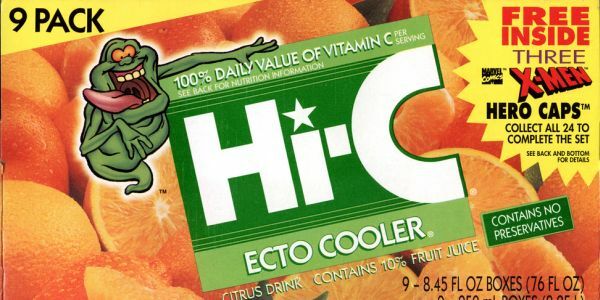 But first, history: Originally a rebranding of the Hi-C Citrus Cooler, Hi-C Ecto Cooler was a delicious green citrus juice sold in boxes that featured the translucent green character Slimer. It gained popularity in the 90’s during the junk food boom after a series of epic commercials that featured the comically gross Slimer. Other amazing Ghostbuster-inspired food products include caffeinated Stay Puft marshmallows and green Slimer Twinkies. The product was discontinued in 2001, but brought back in 2016 in a small production release as a marketing ploy to promote the Ghostbusters reboot. While its trailer has been shrouded in controversy for its trailer and all female power cast (Kristen Wiig, Leslie Jones, Kate McKinnon, Melissa McCarthy), we remain optimistic that it’ll be great. 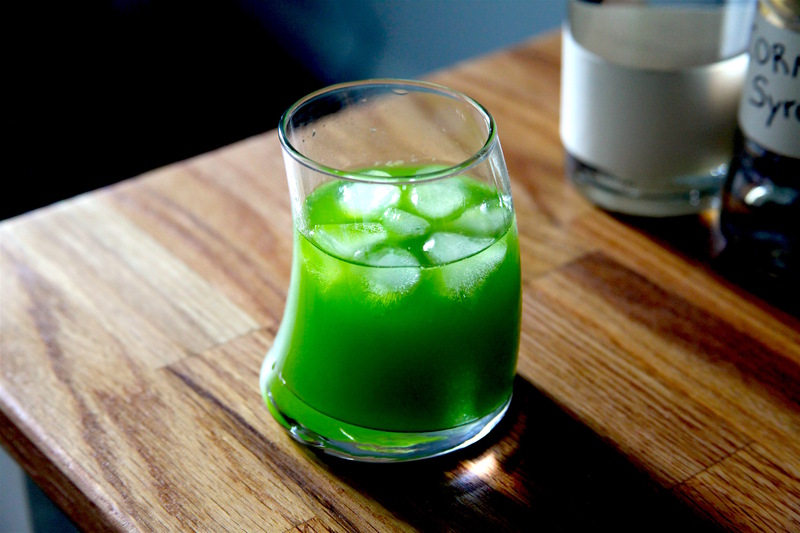 We decided to honor both the original and rebooted versions of the film by making both the classic Hi-C Ecto Cooler recipe (taken from the LEGENDARY Ghostbusters: Chicago Division) as well as making our own an Hi-C Ecto Cooler alcoholic drink recipe. In a large pitcher, combine Kool Aid packets, orange juice, tangerine juice, Countrytime Lemonade, and sugar. Stir until dissolved. Add water as desired for taste. In a large glass, muddle tangerine and orange. Strain into a separate cup. To strained juice, add vodka, citric acid or a squeeze of lemon, simply syrup, blue curaçao and 2 drops of yellow food coloring (optional). Pour mix into a shaker with ice. Add lid and shake. Strain into separate glass with ice. Pour over with soda water. 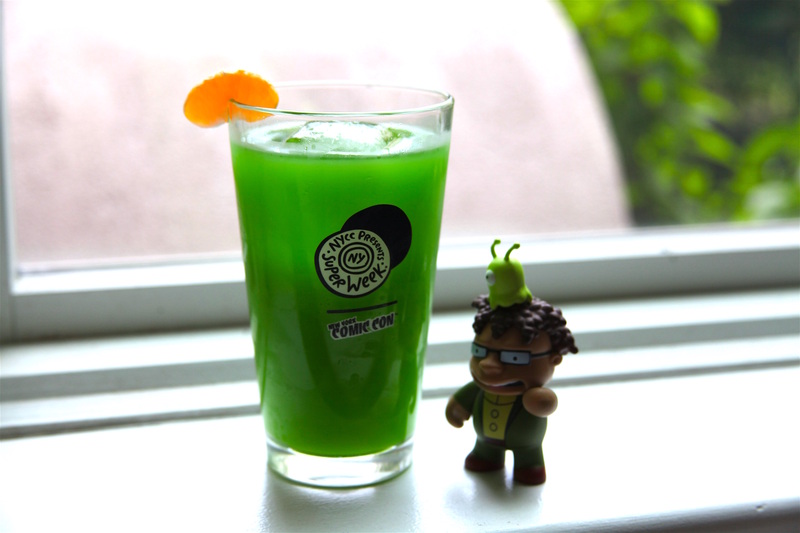 Made the Hi-C Ecto Cooler recipe at home? Tag your Ghostbusters Ecto Cooler photos with #PateSmith or share them in the comments for the chance to be featured onsite!